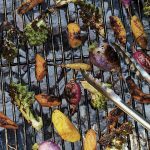 Grilling vegetables and dressing them with a rich dressing is a revelation. 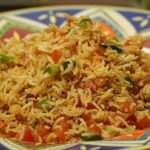 Use as many colors and varieties of vegetables as possible. 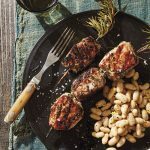 These pretty kebabs made with pork tenderloin and rosemary branches create similar flavors to traditional Italian porchetta in a fraction of the time. Has he ever steered you wrong before? 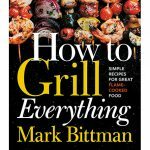 The latest in Mark Bittman’s Everything series, How to Grill Everything has expert tips for newbies and seasoned grillers alike. 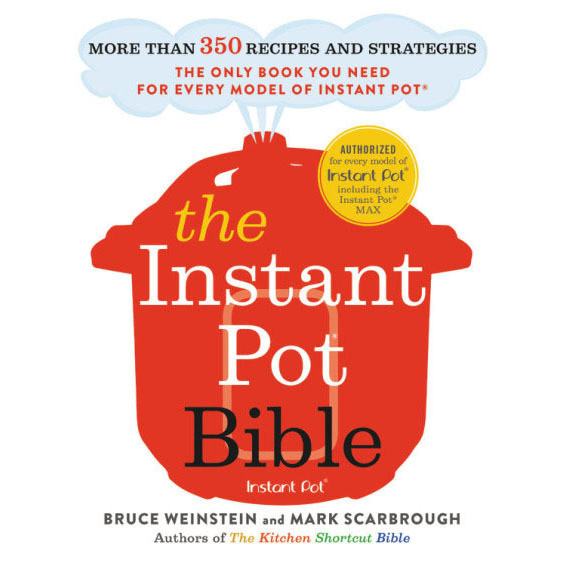 You’ll find recipes for every course, including dessert, and every protein and vegetable you can grill. We especially loved Mark’s soup-to-nuts approach to grilling the perfect steak. Consider this your one-stop-shop guide to grilling steaks. 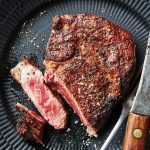 Mark Bittman shares a simple foolproof recipe for strip, sirloin, or rib-eye steaks, along with tips on how to buy various cuts of beef and grill them to the doneness level you prefer.